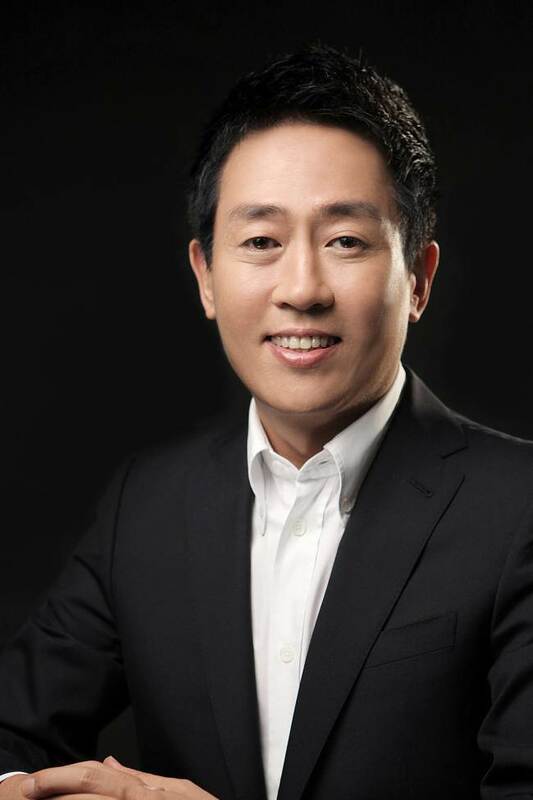 The rapid pace of digital adoption by Korean consumers means businesses must move to meet them in the digital arena, tapping social media and using big data to strengthen their connections with their target audience. As a global leader in the production and consumption of high-tech products, Korea is among the fastest-growing information and communications technology markets worldwide, with its advanced infrastructure and consumers who are keen to adopt new technologies and products. Almost all Korean households are connected to the Internet. Practically everyone has a mobile phone, with a sizeable proportion using smartphones. With so much connectivity, it is no wonder that online shopping has become a force to be reckoned with. The country’s e-commerce sales rose 14.5 percent in 2012 to an all-time high of 1.144 quadrillion won, with cyber shopping accounting for 32.35 trillion won. To ride the unstoppable tide, executives in the consumer products and goods, or CPG, industry need to adopt a “digital mindset” that reflects where consumers are going with personal technology, and be committed to using technology to improve operations and marketplace success. Most companies are already adept at using data to assess financial performance or evaluate supply chain interaction. They now need to redirect their analytical firepower toward marketing and sales processes, such as brand marketing or price, promotion and assortment, to derive shopper insights and drive traffic into both their offline and online stores. Delivering personalized performance-based messages has never been easier. From voting on new product flavors to participating in video competitions that help the brand, social media can increase brand engagement, making it cost-effective to generate inputs and influence new product designs, offers and marketing approaches. Listening and responding is critical. Consumers who go online to talk about or recommend a product can have tremendous influence, making them your best friends or worst enemies. Continuously monitoring social media and policies to respond to social content with targeted communications is needed. Accenture’s experience in the CPG space indicates that winning digital consumers is not just the role of sales, brand or marketing teams. It is an enterprise-wide responsibility, requiring contributions from functions and areas across the company. To prepare for the shift to a digital business model, companies need to identify a senior C-level executive to sponsor and drive the process. Leadership is crucial, given the wide scope of the transformation towards a holistic integrated global digital business model with shared digital assets and platforms and an overarching digital approach that supports the business strategy. Having the right talent to do the work will be important. Employees at fast-moving companies leading the digital charge tend to want different rewards than those at more traditional companies, the differences having less to do with money than with culture, such as the attitudes toward innovation to the quality and flexibility of the work environment. Managers need to be retrained to understand digital metrics and the levers that drive digital business. Since technology evolves rapidly, Accenture believes that the new business model should allow organizations to think big but start small, using the measure-test-learn technique to enable development through iteration, yielding better results. Locking in decisions such as platforms, software and providers far in advance is a mistake. Instead, identify appropriate pilots and apply proof of concept techniques to test different options. 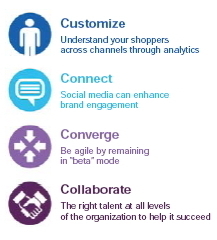 Remaining continuously in “beta” mode will help digital companies learn quickly and be agile. Going digital is more than having a website or a digital sales channel. Companies that effectively embed digitization into their business model view all processes as potential candidates for digitization. Virtual simulations and prototyping can be used to create, test and optimize packaging, shelving and store designs. Consumer focus groups can employ virtual reality to assess how participants react to product placement, shapes, colors and designs, using the results to shape consumer expectations and design products accordingly. The ability to innovate and implement digital solutions throughout the organization will help such enterprises remain competitive and stay at the forefront of the digital revolution. The writer is a managing director of products for Accenture in ASEAN. The opinions reflected in the article are his own. ―Ed.